Your Devices Will Have No Limits. Neither Will You. 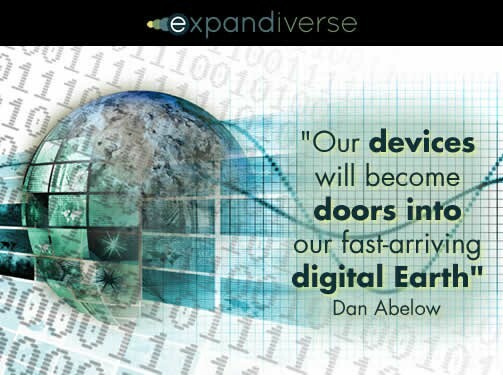 How will your devices take you into tomorrow’s Digital Earth? Stage 3 — One device to rule the world: Virtual Teleportals become immersive “always on” worlds you “Teleport” (or navigate) between. You’re continuously everywhere you want, worldwide — with always on people, tools and resources at your fingertips. 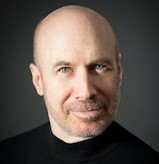 Whether you’re young or old there’s one thing you know: Your future is digital. Our smart phones, tablets and other screens are with us constantly. We move from screen to screen as everything revolves around how quickly they do our bidding, how well they meet our needs. 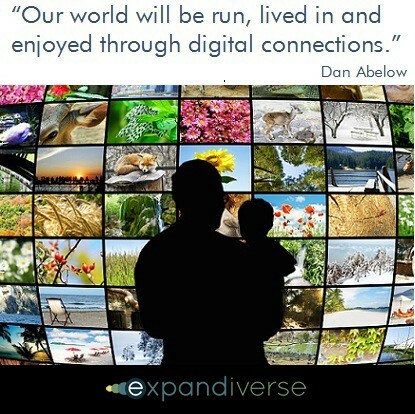 We can’t imagine living without digital. But we’re still just individuals with devices. Doing tasks, playing games, messaging and going from app to app. The devices industry is evolving into a commodity business. The leaders are similar in hardware, features, software, apps, app stores, services, and bandwidth (or phone service plans). It doesn’t matter whether you use Apple, Android or Windows. History will say they’re in the same generation, at a parallel stage. Whether you use a smart phone, tablet, Laptop/PC, game box, connected TV or another device, they’re generally separate silos, using the cloud to work together. How far can today’s devices really take us? Wrong question. 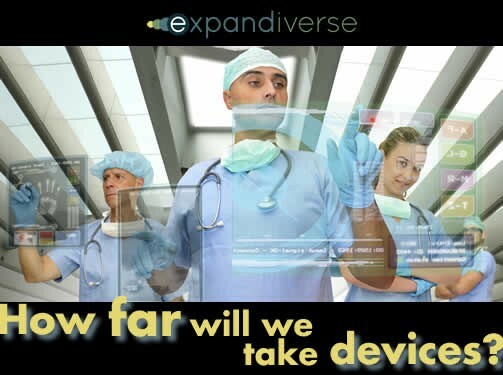 Ask if a fully Digital Earth could be built today, how far ahead would we take our devices? What if we could compete on time as well as features, with the future competing against the present? How powerful are the competitive advantages for companies who make their devices doorways to a more powerful future? The next market shift could come from using today’s devices as an already available bridge into tomorrow’s Digital World. Step through a time machine. 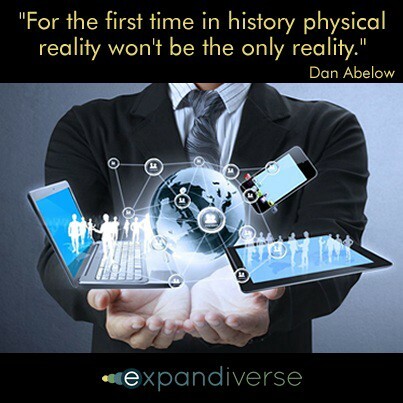 Imagine we’ve built tomorrow’s Digital World. Now devices can be turned into “families.” Virtual Teleportals kick-start tomorrow’s Digital Earth and start the lifetime Journeys to Quality—customer-vendor relationships that will be grown for decades to come. In your company, the supply chain’s always on Shared Spaces with managers and employees has grown. It has always on connections with similar Shared Spaces in manufacturers that ship to you, and in retailers that receive from you. Large end-users — the final customers — are also in some of your Shared Spaces, so your supply chain meets their needs accurately. Together you’re harnessing instant and living continuous connections — from the market through multiple companies — to drive constant improvements. Your supply chain is always tuning its efficiency, responsiveness and accuracy — benefitting your markets, industry and the economy. In fact a co-worker interrupts, asking you to stop by and see a new vDemo for sharing vehicle and fleet telematics data across your connected supply chain — the start of a VirtLogistics component. You choose not to wait and ask to see the vDemo right away. You put on your VirtGlasses. Inside your VirtGlasses you can see the same images and connections as on your tablet. You can also see through them, to the kitchen you are sitting in. Your colleague is in the same place as on your tablet’s screen, but you vFocus your Shared Space with her. The rest of the images grow dimmer, and your Shared Space appears almost solid. The designer is standing in front of you. She pops open the vDemo and stretches it to person-size so it’s clearer. But she wants to make it immersive. She Teleports into it by stepping inside the vDemo, bringing you along, as she explains it. Teleporting into the Shared Space shifts your perspective. The room around you completely disappears. This one team’s vShared Space surrounds you. Its people, tools and resources are on and live, ready to interact. It feels like you stepped inside a world that is equal in size to the room you sit in. Around you is the new vCommand Center — you’re inside its mocked-up vSpace. The designer quickly points out its “always on” vDashboards, vTools, vResources and vServices. The main team members are there as continuously connected “vPresences.” If someone is vActive it shows him or her live and correctly sized in this vSpace, or if vInactive it shows a photo-realistic avatar of them, motionless and on the side. In the demo everyone is an avatar. In the real Shared Space they will be live and Active or Inactive, depending on each person’s “presence” every minute. You mute all other audio and vPresences except the designer. You are in a vFocused conversation with her alone. This visually displays this minute’s real-time, real-world view of all your supply chain’s containers, warehouses and retail stores. The stationary containers are in loading yards and sitting at distribution centers and warehouses. Some containers are moving, and those are on trucks, trains, barges. When zoomed out these appear to move very slowly. Zooming in on a container makes it life size and shows its real-world speed if it’s on a truck, train or ship. How many Command Centers are there? Just one, or as many as needed? If a product is out of stock and selling well, how can you get more product where it’s needed? “Finding a product is always available to everyone, everywhere,” the designer says. She pulls open a Find Product in the air. By entering a SKU or an image of a product, she immediately displays a floating 3D image of the product that is needed. The 3D vMap view changes to show that product’s current locations. Now this product’s containers and cases in warehouses and retail store backrooms are brightly lit and highlighted, while the rest of the “vMap” turns lighter and transparent. To solve this problem she asks to see the retail stores that are low on inventory, or out of stock. These stores light up, so it’s obvious where this product is needed immediately. Then she asks to see that product’s cases and containers closest to those retail stores. Those need to be delivered immediately. She tells the system to deliver 125% of the usual replenishment quantity to each store. Everyone is always in this vCommand Center, including all the companies and employees in your supply chain. The designer flips back to the previous Use Case of a product that sells quickly and is out of stock in some stores. Then she has the vMap highlight that product’s containers and cases near stores that are out of stock or have low inventory. With one command the designer calls a vMeeting of all the different companies’ employees responsible for immediately shipping that product to those stores. The vPresence system collects the names of those people and connects to them immediately, making them all vActive together. For those who are not available, it makes vActive the employee at each company who is assigned to fill in during their absence. The designer is quickly “with” all the different logistics companies’ employees responsible for moving that product to those retail stores. They’re avatars in this demo, but will be live people, with live images, in the real vCommand Center. Because this vShared Space also uses Virtual Teleportals, it works on today’s devices as well as through VR (Virtual Reality), AR (Augmented Reality) and MR (Mixed Reality). Everyone is connected on the devices they’re using this minute. You can see that your company’s entire supply chain will be continuously connected in real-time, working at full speed from everywhere, without needing anyone to put on VirtGlasses or use VR. You smile. The vDemo is interactive enough. It looks like your company’s supply chain, works like a fully connected economy should, and has Virtual Teleportals to connect everyone who’s not in VR or MR.
Nodding, you can “see” that this VirtLogistics Shared Space is ready to be used in vTests. It will be easy to have real employees from multiple companies throughout a supply chain try it out and see how it does in real tasks. You tell the vDesigner to go for it and prepare this vDemo for customer trials and tests. Before you leave you flip to your family’s Life Space to check how your parents are adjusting to retirement. Dad’s enjoying Belize’s coral atolls while chatting with a childhood buddy. He’s sipping coffee while blended into a live 3D from the reef, surrounding him with tropical fish. He notices that you’re vActive and gives you a quick wave then turns back to his friend. No worries there so you don’t vFocus in either of them. Senior citizens like your parents create some of the most active VirtCommunities. They enjoy 24x7 relationships with their families, childhood and lifetime friends, resources, services and caregivers. It seems like the more someone’s physical mobility shrinks, the larger their digital life grows — and the more they enjoy experiences everywhere around the world. But it was transformed by realizing our devices will evolve to VR, AR and MR wearables. The big surprise is how we’ll no longer need to buy multiple screens and devices. For example, a small vScreen can be attached to your wrist as a vWatch and vBioMonitor. When you receive a supply chain alert, you simply spread your vWatch screen to the large size needed to use its information immediately. No need to switch to a different device. Your VirtGlasses even turn your vWrist screen into a vWall screen. Then when you need a vLive visit to your manufacturer or shipper, it opens a Teleportal for you to step through and go there. 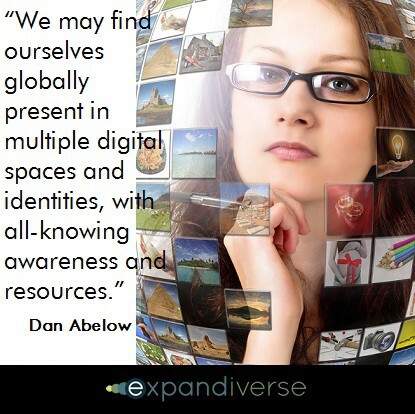 Our Digital Earth became one digital room, with everyone in it. As a result, all of today’s screens and devices morphed into parts of your VirtSupplyChain, without anyone needing to buy a single device. Over time your team added multiple always-on groups for different parts of the supply chain; continuous connections to customers to keep demand forecasts accurate, CGI-like blending of people and places, and boundaries that displayed only the ads each person wanted to see. Then it added both physical and digital security (based on recognition and bio-metrics) so the supply chain stayed secure everywhere worldwide. Next Chapter: Property self-security: Enjoy a well protected life and world. How will new technology serve everyone’s need to live a well-protected life in a safer world?